After my articles on the 10 reasons to support nuclear power and the one the past and present of nuclear energy it is time to have a look at the main future technologies. David JC MacKay on his website mentions two main fission possibilities : fast breeders and thorium and fusion. We will have a look at thesemost promising solutions as well as to other technologies. 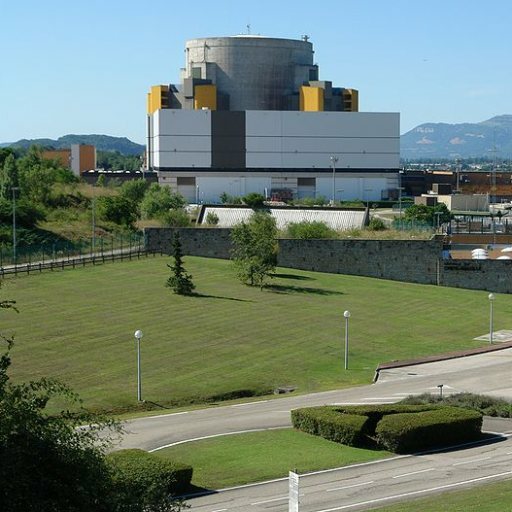 The needs for safer, cheaper and cleaner nuclear solutions are important as the IAEA forecasts the demand for nuclear is to increase by 60 percent in the next twenty years. Fast breeders are interesting as they burn up Uranium 60 times more efficiently and can thus enable us to use our current nuclear waste to generate low carbon electricity. Even if research has been carried out since the 1950s in many countries (the United States, the United Kingdom, Japan, Germany, Russia, India and France) no country is currently using it for commercial application. This soon may change as India and China (and many other countries) are planning to build fast breeder reactors to answer their fast increasing energy needs. India’s is due to be ready next year. It would also make using Uranium from our oceans a viable option that would answer all our energy needs for millenia. – Scientific American : How do fast breeder reactors differ from regular nuclear power plants? – Wikipedia page on fast breeder reactors. Thorium is a radioactive element similar to uranium. Formerly used to make gas mantles, it is about three times as abundant in the earth’s crust as uranium. Soil commonly contains around 6 parts per million of thorium, and some minerals contain 12% thorium oxide. (…) Thorium can be completely burned up in simple reactors (in contrast to standard uranium reactors which use only about 1% of natural uranium). Thorium is used in nuclear reactors in India. (…) An alternative nuclear reactor for thorium, the “energy amplifier” or “accelerator-driven system” proposed by Nobel laureate Carlo Rubbia and his colleagues would, they estimated, convert 6 million tons of thorium to 15 000 TWy of energy, or 60 kWh/d per person over 1000 years. Assuming conversion to electricity at 40% efficiency, this would deliver 24 kWh/d per person for 1000 years. And the waste from the energy amplifier would be much less radioactive too. They argue that, in due course, many times more thorium would be economically extractable than the current 6 million tons. If their suggestion – 300 times more – is correct, then thorium and the energy amplifier could offer 120 kWh/d per person for 60 000 years. Many other solutions are being explored within the Generation IV International Forum (GIF) a group of thirteen countries and group of countries cooperating to develop the future generation of nuclear reactors. produces fission power in a circulating molten salt fuel mixture with an epithermal-spectrum reactor and a full actinide recycle fuel cycle. Fusion will conclude our series of articles next week, so stay tuned ! I think this provides a better overview. Basically, there are a lot of technical obstacles (breeders so far has been unreliable) and breeders are more prone to accidents. The breeder yield in a built reactor has never been enough to actually be a breeder, that is, never enough to fuel another reactor. Plus… weapons. I mean, you need about 1.5t of Pu-239 for the core of a 1GW fast breeder. Enough for 75-300 atom bombs (depending on purity, whether there’s a U-238 blanket, and so on), or 1,000 boosted fission bombs. And breeders make more fissile material. As for thorium, the contaminants of the thorium cycle which make U-233 unsuitable for weapons also make it hard to reprocess the thorium fuel. The thorium reactor requires a plutonium core. It works out that for every thorium reactor you’d need a uranium reactor to produce plutonium for it. Thus, our use of thorium would be limited by available uranium reserves. I don’t want to swap global warming for a nuclear winter, thanks very much.